Chinese telecommunications equipment maker ZTE announced that it has resumed trading following a two-month suspension, which ended last week. Back in April, ZTE was hit with a seven-year ban on buying U.S. components after it was caught illegally trading with Iran and North Korea. The company said the ban would threaten its survival and likely hurt many U.S. companies. As part of a deal to keep the company in business, ZTE agreed to pay up to $1.4 billion in penalties to the U.S. government and $400 million in escrow to cover any future violations. 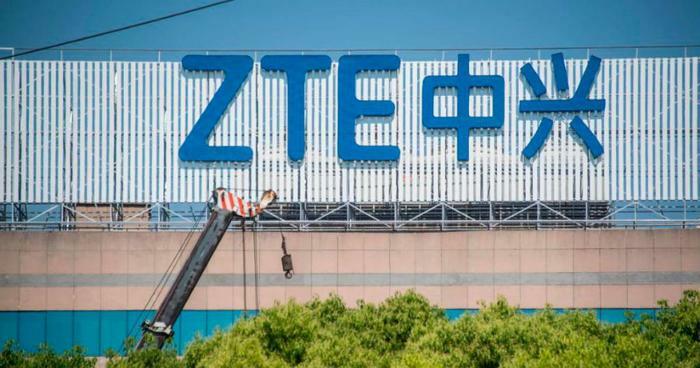 ZTE also agreed to replace its management team within 30 days, open itself up to U.S. inspections of its sites, and improve public disclosure of its supply chain. The company said in filings on Tuesday that it would restart business operations “as soon as practicable,” but the sales ban will not be lifted until ZTE pays the fines. The company added that it would re-publish its first-quarter financial results after assessing the impact of the seven-year ban and the settlement agreement. Shares of ZTE Corp reportedly tumbled 42 percent as it resumed trading in Hong Kong following the two-month trading halt, which began April 17.